That is a really cool pipe! Made it through another work day, and home to Rum Flake in a Stanwell billiard and a cup of coffee; starting to feel better already! Time for tea and some Germain's Brown Flake in the Falcon. 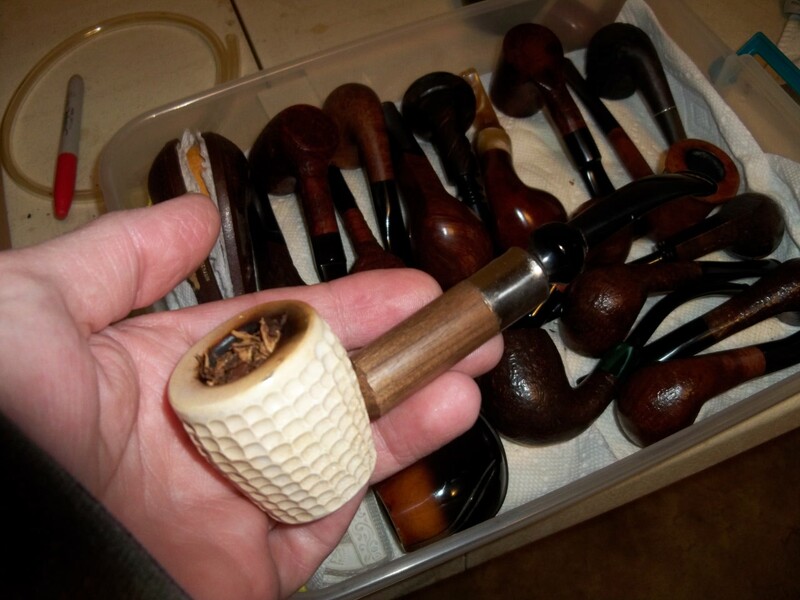 Just about finished Ennerdale in a Patriot cob, and that brings my evening to a close.